The Red Sox will be looking to make it 2 in a row against the AL East champion Baltimore Orioles tonight in Camden Yards. 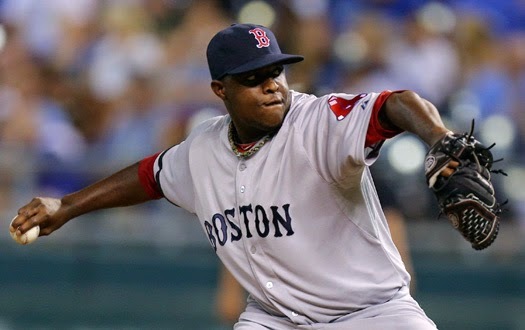 The Sox will send Rubby de la Rosa (4-7, 4.31 ERA) to the mound tonight against Orioles ace Chris Tillman (12-5, 3.29 ERA). This game is meaningless on paper because the Orioles clinched the division already and the Sox are out of the playoff race, but there's still plenty to watch for tonight. For the Orioles, they'll be looking to build momentum going into the ALDS, and for the Red Sox, it's still about finishing an abysmal 2014 on a high and getting a look at all of their young talent. That includes de la Rosa, who is 0-2 and a 7.43 ERA in his last 3 starts, and 0-2 with a 7.11 ERA against the Orioles. He'll look to rectify both trends and solidify a possible rotation spot for 2015. He'll have to go toe-to-toe with Chris Tillman, who is sure to feature heavily for the Orioles in the postseason. He's 2-0 with a 2.55 ERA in his last 3 starts, so the Red Sox offense will have their work cut out for them if they want to make it 2 wins in a row against the O's.